We live on the opposite side of the Lago di Bolsena and can see Bolsena acorss the lake. Yes we are so lucky. The sidewalks/streets bring about some sort of nostalgia for me. I can't quite put my finger on it. I have never been to Italy, but will end up there before I leave this earth. When I see pictures, the feeling that washes over me is, "I 'belong' there." 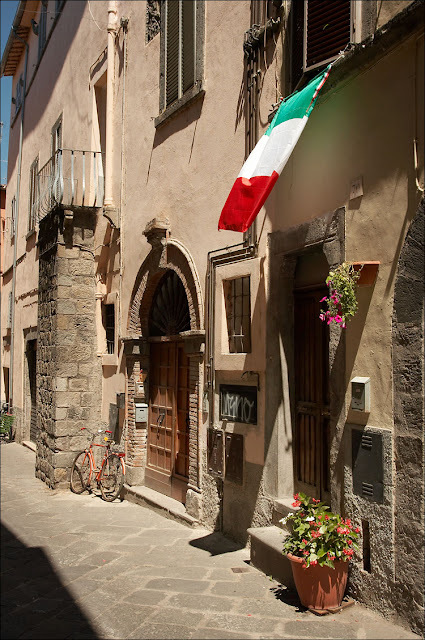 This is a lovely photo of Bolsena.